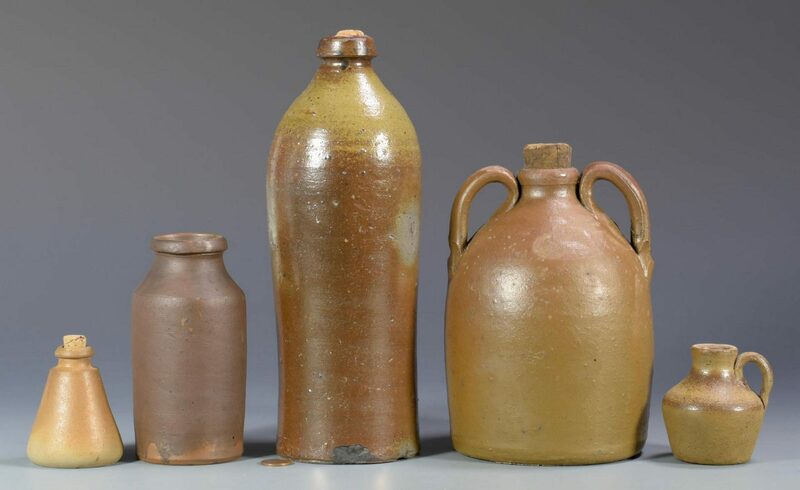 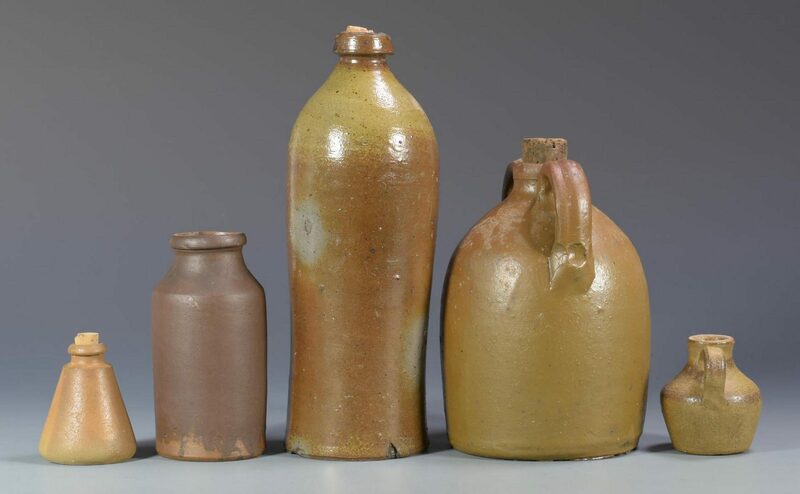 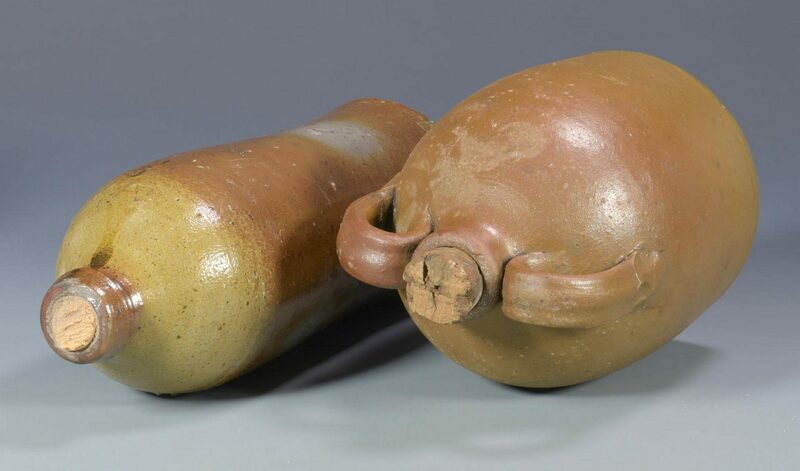 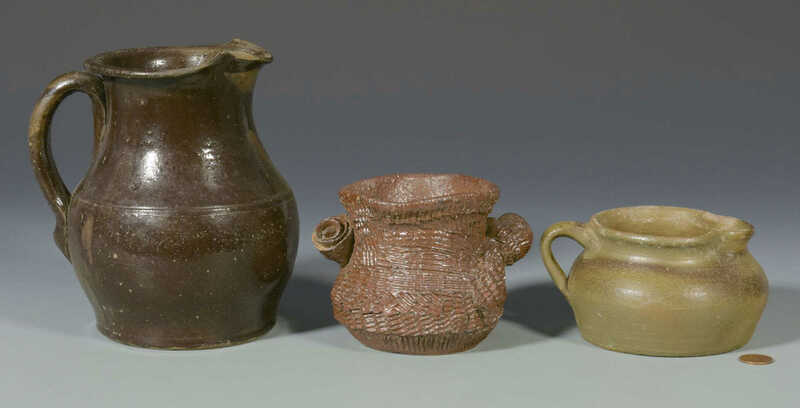 8 Middle Tennessee stoneware pottery items including one (1) large tan to brown glaze bottle (10 1/4" H), one (1) small brown glaze bottle (5 1/2" H), one (1) light brown and tan glaze two-handled jug (7 1/4" H), one (1) miniature brown and tan glaze one-handled jug (2 5/8" H), one (1) brown and tan glazed inkwell (2 7/8" H), a squat form tan and brown glazed cream pitcher (2 3/4" H x 5 3/4" W), light and dark brown glazed pitcher (6 3/4" H x 6" W) and a brown glazed flower pot with wavy rim, textured body and flower form handles (3 5/8" H x 5" W). 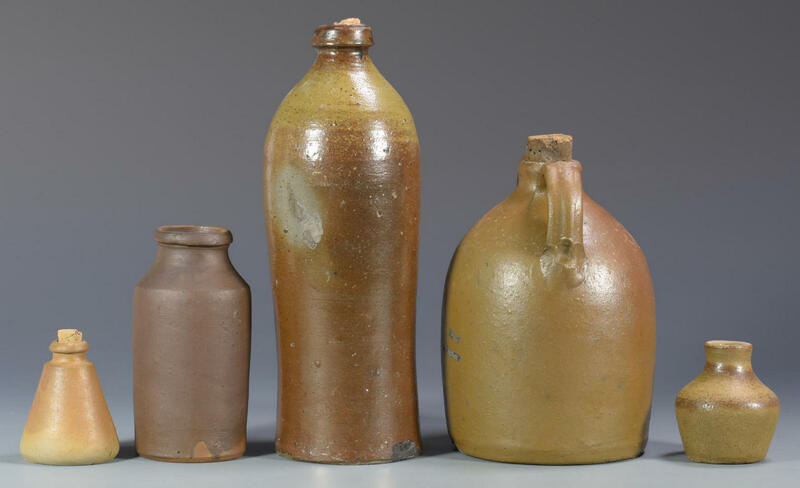 All late 19th/early 20th century. 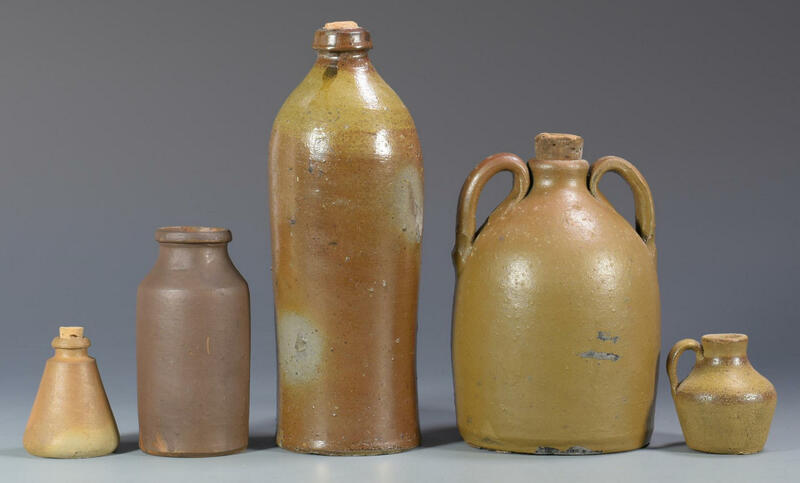 Provenance: Private Warren County, TN collection. 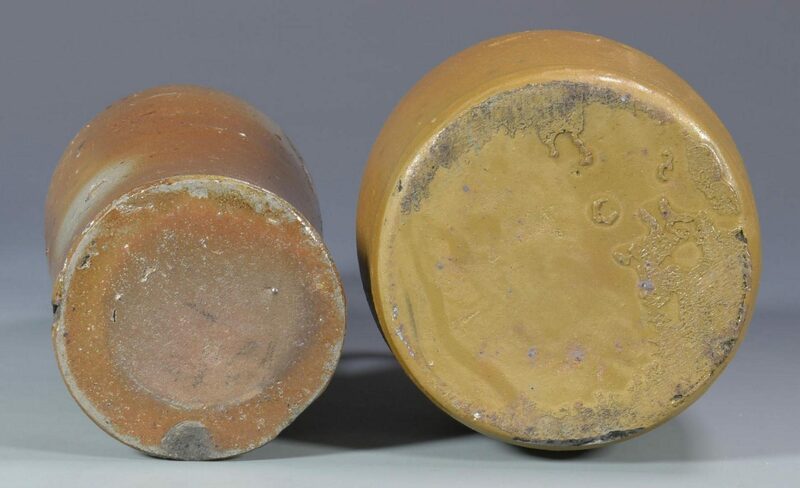 CONDITION: Minor fleabites to rim of squat form pitcher and minor chipping to one handle of flower pot, all other items very good condition.